Using Google Analytics for your Podbean site is easy. First, go to: www.google.com/analytics/, sign in your Google Analytics account. Then get your Google ID by reference to the support article of Google. 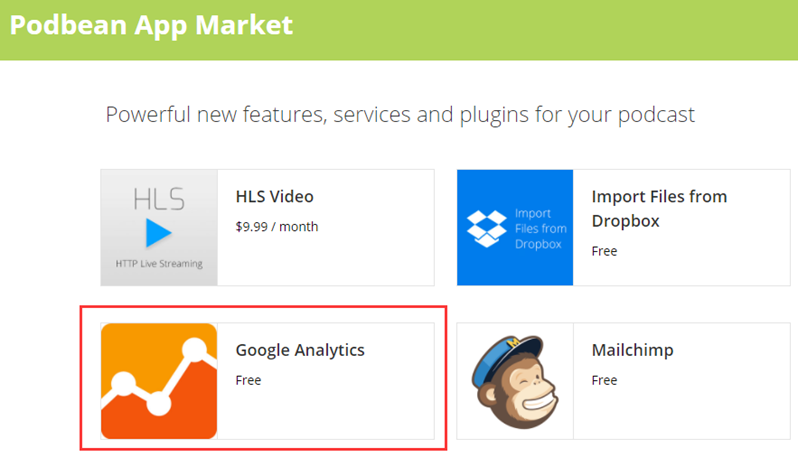 Now follow the steps to add your Google Analytics Code in your Podbean account. 1. 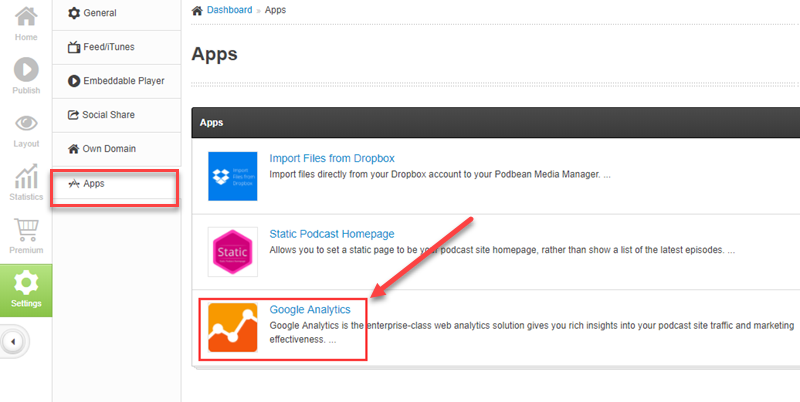 Go to apps.podbean.com and find the free "Google Analytics" app. 2. Click “Get App” (select a podcast channel if you have multiple channels). 4. Find the "Google Analytics" app and click the “Settings” icon. 5. In the pop-up window, add your Google Analytics Code, then click the "save changes" button. Now you can log into your Google Analytics account and view the performance of your podcasts.